Albert Pujols waves as he takes the stage at a public press conference introducing newly signed Los Angeles Angels of Anaheim players Albert Pujols and C.J. Wilson at Angel Stadium on December 10, 2011 in Anaheim, California. 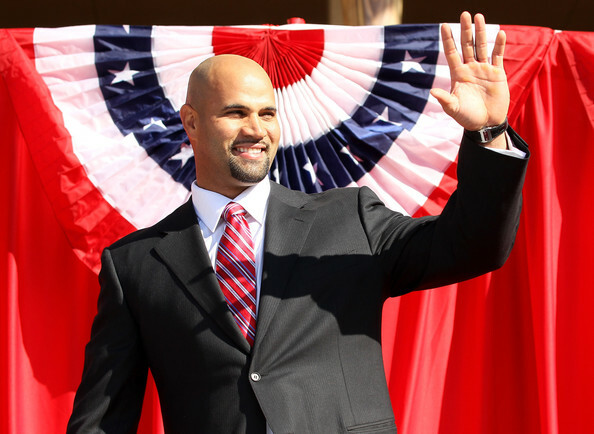 Albert Pujols showed off his team pride with a red, white, and blue striped tie.